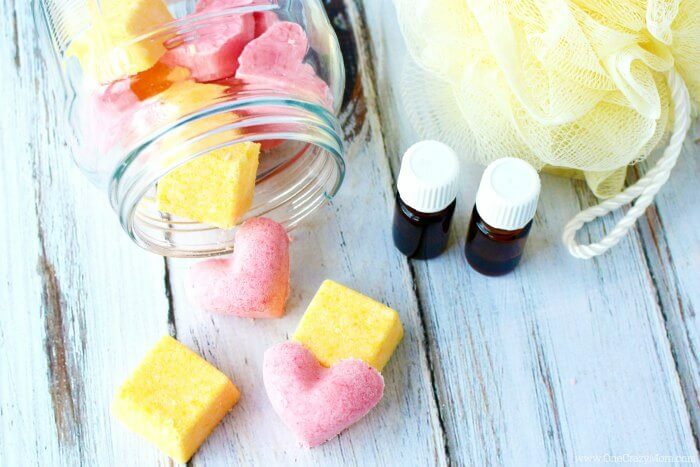 DIY Bath Bombs - How to make Bath Bombs Everyone will Love! Bath Bombs are all the rage right now! But have you seen the price tag on these at stores? I have seen some for $10 just for one bath bomb! I’m going to show you how to make homemade bath bombs for a fraction of that! These make the cutest gifts for friends. Also, if you have teens or pre-teens, this would be cute to make together and let them hand out to their friends. 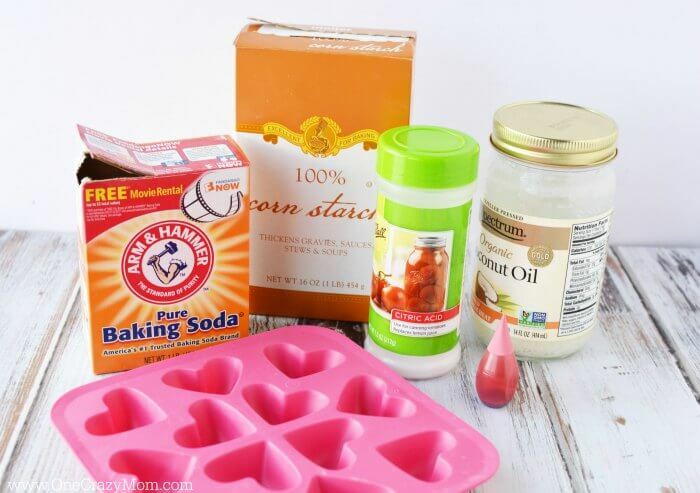 We have so many different ideas and molds you can use. 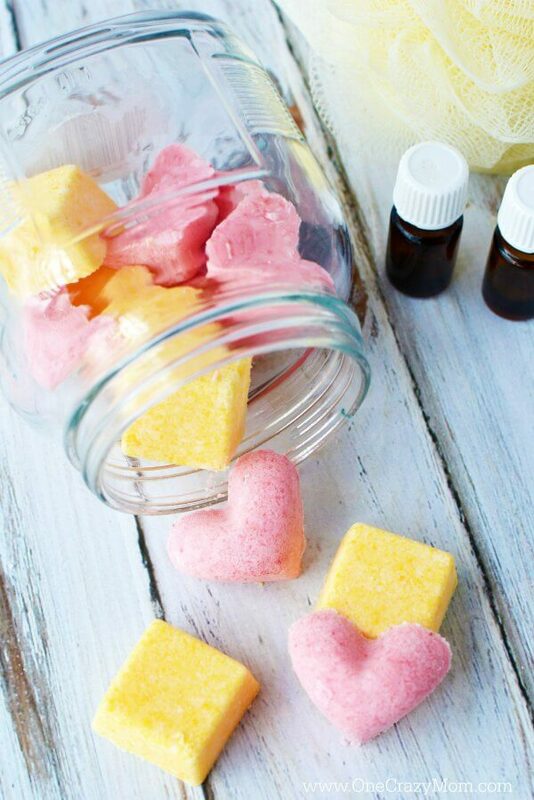 Plus, essential oils make these even more amazing! 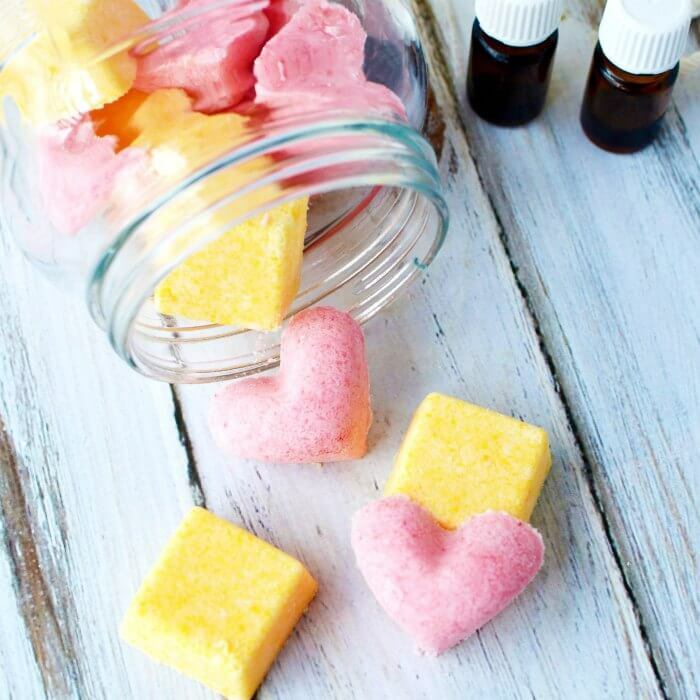 Get ready to have a fun time of crafting and then you will be set with bath bombs for lots of hours of relaxing. 🙂 If you love these cute heart bath bombs, you will love these Starfish Bath Bombs I made with the kids! There are all sorts of cool molds out there but I like to shop my house first! The less I need to buy for projects the better! Now, silicone molds work best because they are easy to take out. 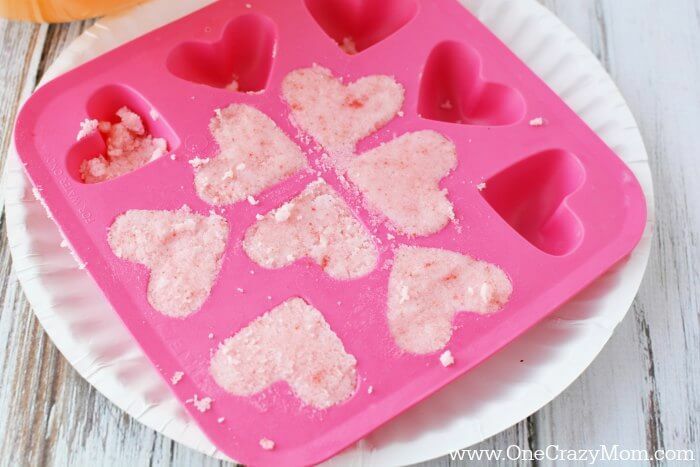 However, you can even use muffin tins or mini muffin tins to make bath bombs. In fact, I have several silicone muffin pans that will be perfect for this! Think outside the box and see what you have at home first. You might be surprised at what you find that you can use. I like to switch up the colors and shapes for holidays and seasons. So fun and everyone loves them! Have you ever made these? If it’s humid in your house, you may notice the bombs are “expanding” in the mold. There’s no great solution, except to press them firmly into the mold and find a place that has less humidity. Another tip is to look for citric acid in the canning aisle. Most people over look it so check out that aisle. (Or you can order on Amazon like I did). Also, it really does make your bath bombs turn out more vibrant if you use the right food coloring. I prefer McCormick and I used 10 drops of yellow and 6 drops of the McCormick neon pink for the bath bombs. They turned out gorgeous! We love to use essential oils around here. 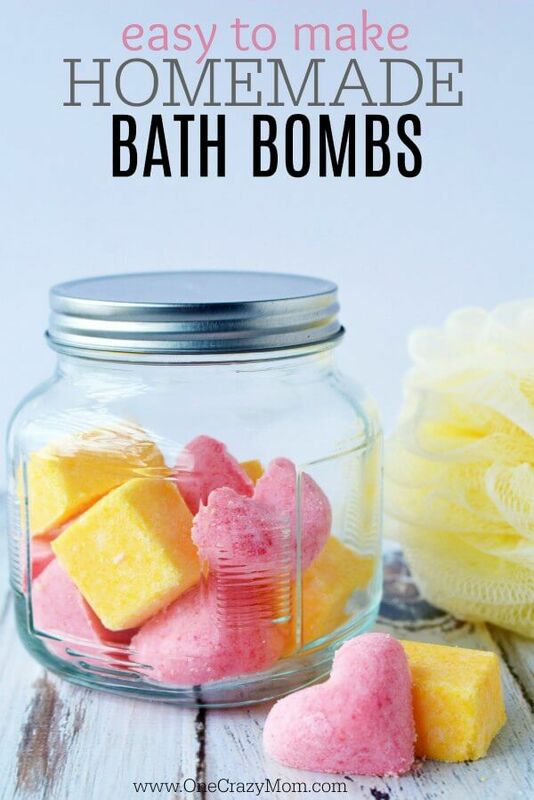 They can definitely make the bath bombs smell amazing and even more relaxing. Some good essential oils to try to make relaxing bath bombs include: Lavender, Cedarwood, Stress Away and Peace and Calming. 1. In a mixing bowl, add baking soda, citric acid and cornstarch and mix well. 2. In a microwave safe bowl, add coconut oil and heat for 10 seconds, stir and return for another 10 seconds until mixture is melted. Stir in essential oils if desired. At this point I add in food coloring. 3. Since my food coloring is water based and I’m adding it to oil (think, oil and water don’t mix) it doesn’t mix well. 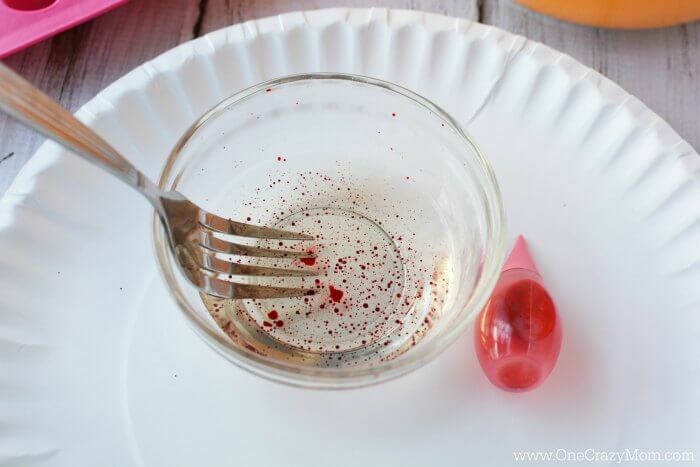 I “scramble” the oil and food coloring with a fork. 4. 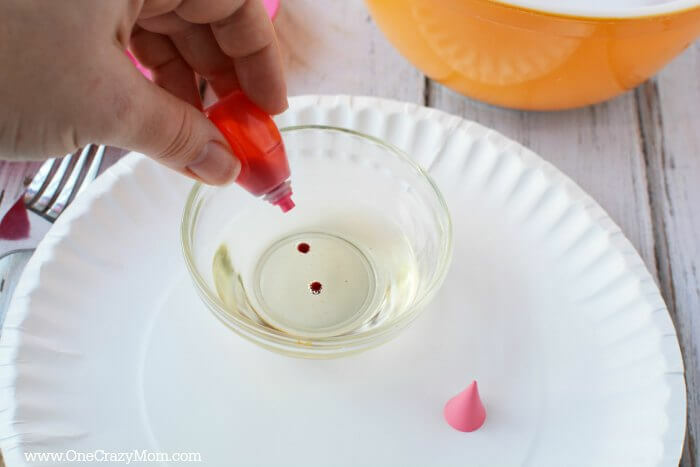 I find adding the color to he oil helps to distribute it more evenly in the mixture. Add oil to the dry mixture and mix well. 5. 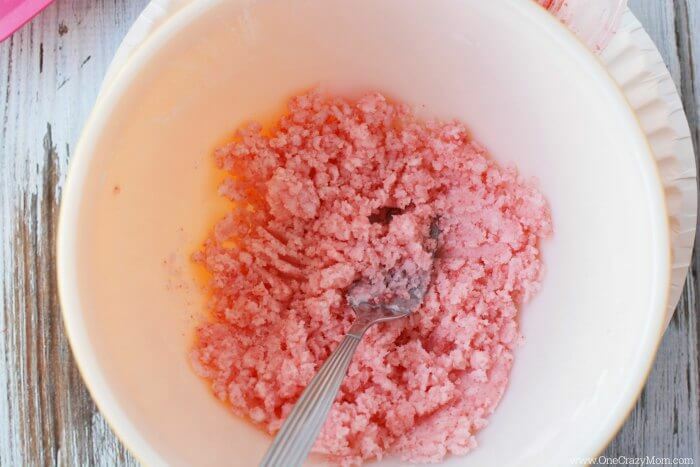 Press the color into the mixture with the back of a spoon if necessary. The consistency should be similar to wet sand. 6. Put mixture into molds. Press firmly and level off the mixture. 7. Let set, overnight. Remove by pressing gently on the mold to release the bath bomb. Store in an airtight container. Any airtight container will do but you can see the one I like to use here. To use: Drop 3-4 in a hot bath. 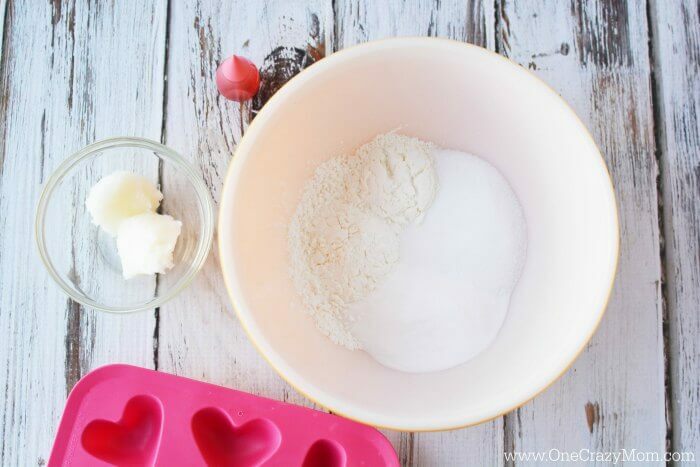 Now that you know how simple DIY Bath Bombs Recipe is, you must try it! You can save so much money by making your own and I think they are just so cute. Plus, you know exactly what is going in each bath bomb. I love adding my own essential oils. These are so good to just relax and unwind after a long day. Plus, I don’t have to feel guilty knowing I didn’t pay very much to make these. I keep a cute jar of these in my bathroom and they just make me smile! 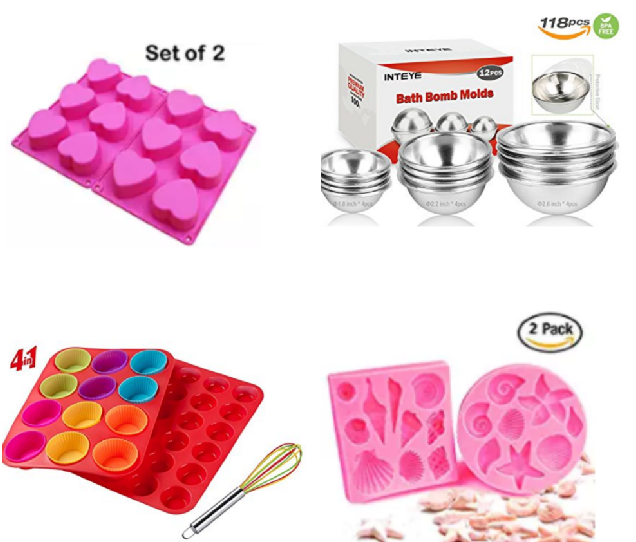 The possibilities are endless….hearts for valentine’s day, Starfish for summer, cute round bath bombs just because and not to mention all the endless color options! 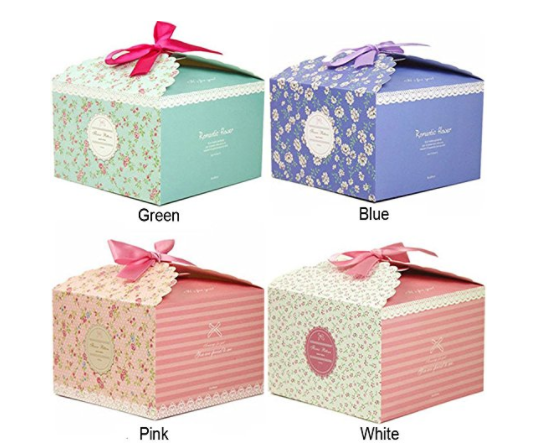 My friends love these and I feel really good about giving a gift that is practical and I know they will use. I buy a pack of really pretty boxes on Amazon to put these in for gifts. They look so lavish and expensive even though it was so cheap to make! Also, try making these Homemade Starfish Bath Bombs with the easiest Bath Bomb Recipe. So fun and cute!